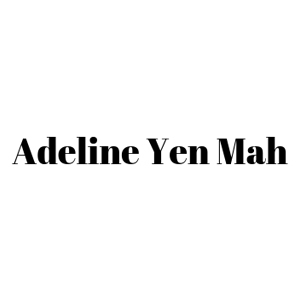 Chinese Cinderella and the Secret Dragon Society was written in response to numerous young readers of Chinese Cinderella asking for kung fu stories similar to the ones Adeline Yen Mah wrote as a child. Unlike the earlier book, this one is not autobiographical. Ye Xian or CC as she is called by her friends (the reason why is explained early on) shares more than her name with Cinderella: she too has a terrible stepmother and a father who takes little responsibility for her. After being thrown out of her home, CC joins Grandma Wu and the three boys who live with her, and becomes a member of the Secret Dragon Society dedicated to overthrowing the Japanese occupation of China. CC becomes adept in kung fu, learns much of the philosophy of the ancient masters and helps in a daring rescue of the crew of one of the planes from the Doolittle raid. In a valuable historical note at the end of the book the author quotes her sources and outlines where she has changed history in order to involve her young characters in a daring escape that did not occur. It will be up to individual readers as to whether or not they feel this is justified. I asked a young reader for comments on the story, the historical manipulations and the sometimes lengthy philosophical ideas. The answer was that she really enjoyed the exciting adventure and found the discussions of beliefs really interesting. The blending of fact and fiction was not a concern. In this carefully designed book, with the characters for Chinese words inserted throughout and useful explanations appended, readers will find an easily read exciting adventure and empowering adventure story and a history little known to its intended readership.